I've mentioned before how much I love the work of George Wilson, the artists that created many of the covers for Gold Key's DARK SHADOWS comics during the 1960s and '70s. (Seriously, LOOK AT THIS.) A few pieces of his original art are now available at Heritage Auctions, among them his painting for issue #20, first published in June, 1973. 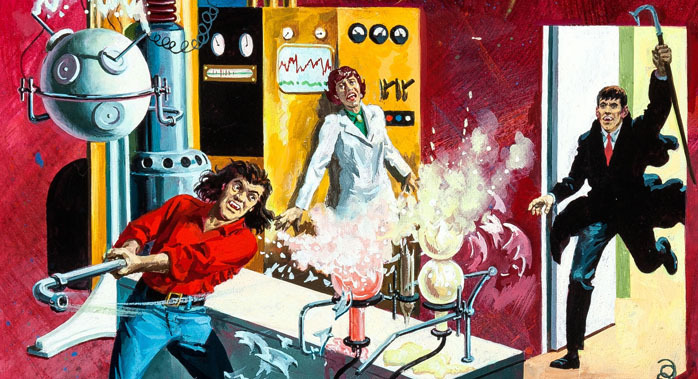 If I had to guess what's happening in the image, I'd say that Quentin Collins has invented a game called "Mad Science Tee Ball," and Barnabas is upset that he wasn't asked to play. 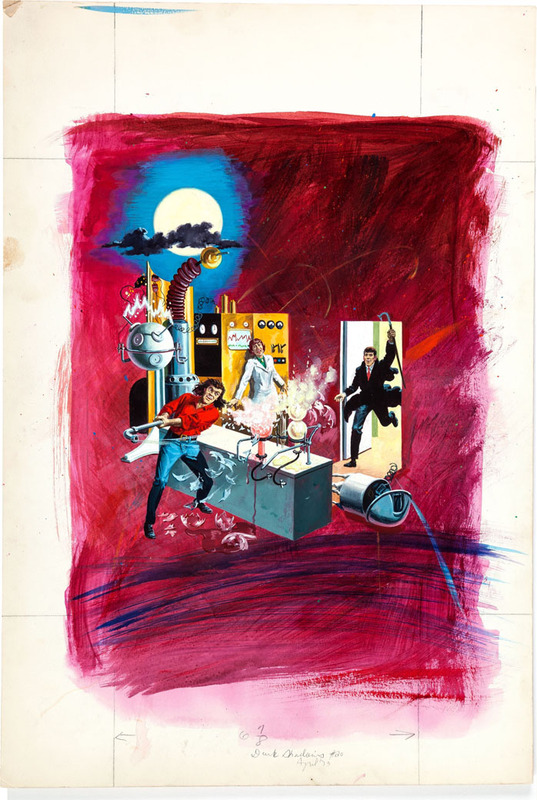 There's a metric ton (I've weighed it*) of Wilson's art currently available at Heritage Auctions, included cover art for issues of THE TWILIGHT ZONE, STAR TREK and BORIS KARLOFF: TALES OF MYSTERY. You can find them HERE.